Drug addiction is a global problem, affecting the people of every country in the world. The ways those governments react offer a plethora of new ideas in approaching the questions of helping addicts, removing the stigma of substance abuse, and starving the black markets that exploit vulnerable people. While the efforts of the United States grab the most headlines, how other countries deal with addiction and treatment adds vital pieces to the puzzle of fighting back against drug abuse. According to Gil Kerlikowske, the former Director of the National Drug Control Policy, “85 percent of all drug treatment research is conducted or funded in the United States,” but in 2012, he traveled to Portugal, Italy, Mexico, and Colombia to talk with government and health officials about their respective addiction treatment programs. Kerlikowske noted that Portugal’s unprecedented 2001 move of not arresting, trying, or imprisoning people with personal supplies of recreational drugs has opened a large number of doors and ideas for new and innovative ways that governments can help their addicted and at-risk citizens. Portugal’s experiment, now well over a decade old, has long been a topic of interest in the public health umbrella of medicine and crime and punishment. TIME magazine reports of how the westernmost country of mainland Europe became the first in the continent to “officially abolish all criminal penalties for personal possession of drugs,” from marijuana and cocaine to heroin and methamphetamine. The program came about as a response to the country’s debilitating drug problems in the late 20th century. Lisbon, the capital city, was a focal point for drug smuggling and “a devastating heroin epidemic,” writes Medical Daily. As a result of the needle sharing, HIV and hepatitis spread rapidly, and most of the 10.29 million people of Portugal knew, or knew of, someone addicted to heroin. The problem arose from the end of the dictatorship of the Second Republic, an authoritarian regime that ruled the country with an iron fist from 1933 to 1974. The group was inspired by, based on, and enforced conservative and authoritarian principles; when it fell, an entire generation of Portuguese people indulged themselves on freedoms that had long been denied to them. Atop that list, says Medical Daily, were drugs. Soldiers returning from newly liberated, former African colonies (Angola, Portuguese Guinea, and Mozambique) brought home cannabis, and black marketeers imported heroin and cocaine. Dr. João Castel-Branco Goulão, one of the architects of Portugal’s drug policy, explained that his country was “completely naive” about drugs. Under the rule of the Second Republic, Portugal had been closed off from the outside world, with no social liberties for its people. 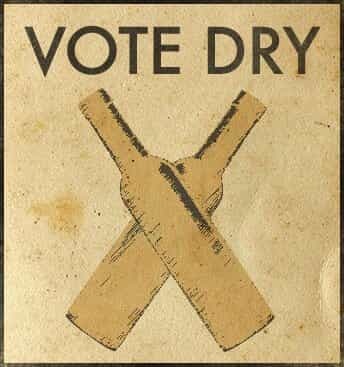 When that government ended, drug and alcohol abuse was not only commonplace, it was practically encouraged. By the 1990s, almost 1 percent of Portugal’s citizens had a heroin addiction. The epidemic became the number one public health issue in the country. In response, the government created a task force consisting of doctors, judges, and mental and social healthcare workers. Dr. Goulão was one of the people tasked with saving his country. In 1998, he and his team came up with a plan that no one saw coming: decriminalizing all drug use, and creating new policies and programs that would treat addicts and prepare them for reintegration into Portuguese society. If addiction is a disease, argues Dr. Goulão, then why arrest sick people? The task force operated under the assumption that the addiction epidemic was medical in nature, not an issue of law and order. To that effect, Portuguese citizens who were apprehended with drugs were offered therapy instead of jail sentences. Fear of prison is what makes addicts go underground, and incarceration costs taxpayers more than treatment. Dr. Goulão’s team could logically make the argument that there was less to lose by providing drug addicts with health services that would actually address their problems. The Portuguese government agreed. Under the 2001 laws, citizens found guilty of possessing small amounts of drugs (no more than a 10-day supply of the given substance) were sent to a panel made up of a psychologist, a social worker, and a legal advisor, who would then devise an appropriate treatment plan. The citizen in question would be given the right to refuse to accept the decision of the panel without criminal punishment. Jail would not be part of the arrangement. Unsurprisingly, the new plans were not universally accepted at first. 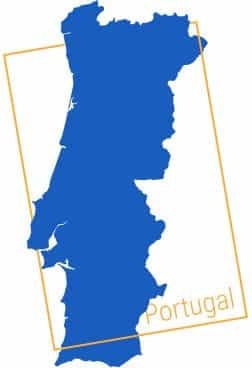 Portugal was a poor, socially conservative, and majority Catholic country; the word on the street was that decriminalizing drug possession would do nothing but make Portugal a haven for drug tourists and make the preexisting drug problem worse. Portugal was already home to the highest levels of illegal and dangerous drug use across Europe; removing jail from the response paradigm seemed like national suicide. Illegal drug use by teenagers dropped. Rates of HIV infections by sharing contaminated needles dropped. The number of people seeking treatment for substance abuse more than doubled. The Cato Institute’s research was conducted by Glenn Greenwald, a former lawyer, New York Times bestselling author, and renowned journalist and political commentator. Greenwald told Salon magazine that an empirical evaluation of Portugal’s decriminalization policy shows that the program “has been an unquestionable success” across the board. The focus on treatment, and not punishment, has helped Portugal manage its drug problems and use “far better than most Western nations,” which persist in treating consumption and addiction as problems of crime, not health. Every metric, said Greenwald, showed that Portugal’s decriminalization has been wildly successful. The report by the Cato Institute showed that compared to both the European Union and the United States, Portugal had the lowest rate of lifetime cannabis consumption, both in Europe and America. More Americans have used cocaine than Portuguese have smoked marijuana. Furthermore, between 2001 and 2006, the amount of lifetime use of heroin – the drug that was causing the most problems for Portugal – fell by 2.5 percent to 1.8 percent among those 16-18 years old. 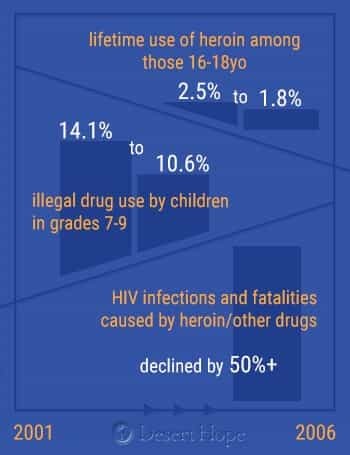 Illegal drug use by children in grades 7-9 dropped from 14.1 percent to 10.6 percent. HIV infections and fatalities caused by heroin and other drugs declined by more than 50 percent. One of the most notable statistics to come out of Portugal’s decriminalization program was the number of people who enrolled in methadone and buprenorphine treatment for drug addiction: from 6,040 before the policy to 14,887 afterwards. The amount of money saved on law enforcement measures also funded drug-free treatment options. Greenwald draws a very clear line between Portugal’s success and the efforts made by the United States and other major countries to solve the drug problem. He specifically mentions the decades-long “War on Drugs” as one of many “criminalization approaches” that are “abject failures,” because they exacerbate problems instead of properly addressing them. What the Portuguese task force did differently to law enforcement agencies in other countries, argues Greenwald, is that it removed ideological questions about imprisoning adults who choose to consume drugs, respected constitutional rights over drug criminalization methods, and ensured that money was used for treatment first and prosecution second. But the key in Portugal’s success was that its government recognized, as early as the 1990s, that pursuing criminal action against drug users did not answer the questions of poverty that fueled the drug crisis; and, further, that such criminal action made the situation of poverty even worse. The current consensus in Portugal is that decriminalization gave the government the resources to control the drug problem with a greater degree of efficiency and effectiveness than ever before, and the doomsday scenarios envisioned by naysayers – of Portugal becoming a center for drug tourism and the entire country becoming a ghost town of heroin overdoses – never happened. In the international conversation about what to do about the abuse, trafficking, and treatment of drugs, Portugal’s experiment stands out. Officials in the United States have studied Portugal’s success, mindful of how the drug wars in Central and South America have destabilized governments and created a thriving black market that have kept American citizens addicted for generations. In particular, American lawmakers are looking for alternatives to the tough-on-crime, zero-tolerance policies that created winning headlines and stump speeches in the 1970s, but have been largely discarded and discredited as decades’ worth of research and evidence have shown that America retains the highest rates of cocaine and marijuana use in the world. Mark Kleiman, the director of the drug policy analysis program at the University of California, Los Angeles, tells TIME magazine that the American habit of being “reflexively opposed” when the topic of decriminalization is brought up hampers any critical and creative thinking in how to resolve the problem. Given how badly the United States has struggled to make a meaningful dent in drug crime and treatment, and how successful new and alternative policies have been, Kleiman advocates taking seriously the suggestion that the focus on “anti-user enforcement” has failed to make an impact. However, Kleiman is quick to point out that simply applying Portugal’s model to the United States will not work. The two countries are vastly different in size (at 10.46 million people in 2013, Portugal is smaller by population than the state of Ohio) and culture, a point echoed by Peter Reuter, a professor of criminology and public policy at the University of Maryland. Reuter also points out that drug epidemics come in cycles, regardless of the policies that are in place, and that Portugal’s upward swing in combating its drug problem may be more a case of timing than strategy. But it’s hard to ignore Portugal’s success, with some senators in the US taking a cue from their Portuguese counterparts and calling for the creation of a multidisciplinary task force to examine questions of prison reform and mandatory minimum sentencing policies. 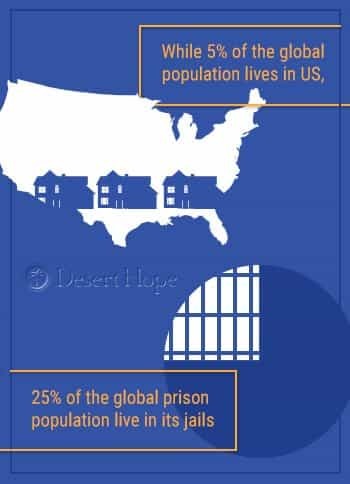 Senator Jim Webb noted that while the United States is home to 5 percent of the world’s population, 25 percent of the world’s prisoners are in American jails. It’s a point that Glenn Greenwald feels speaks to the problem that America has had and that Portugal has solved. Despite overwhelming evidence to the contrary, much of the American approach to drug policy is based on speculation, fear-mongering, and outdated methodologies and ideologies, instead of the empirical evidence that allowed the Portuguese task force to focus on specifics of poverty. The result, says Greenwald, was that the biggest health problem in Portugal had become neutralized. Despite reservations by Greenwald and Peter Reuter, Dr. Goulão stands by his results. He is now the president of the Institute on Drugs and Drug Addiction in Portugal; he formerly served as chairman of the European Monitoring Centre for Drugs and Drug Addiction; and he served as a delegate at the United Nations Commission on Narcotic Drugs. Decriminalization, he says, has had a significant impact in the life of Portuguese families and society, enabling police to turn their attention to cracking the networks of dealers and smugglers, and not to the addicts. Elsewhere in Europe, the United Kingdom has also retuned its drug policies. In 2009, the union concluded a four-year experiment where chronic heroin addicts were given daily injections of heroin, as part of a treatment program aimed at gradually getting the addicts off heroin. Initial results suggested that the trial was effective in reducing drug use and drug-related crime among participants, leading the UK to join Switzerland, the Netherlands, Denmark, and Germany to offer heroin clinics as part of respective national health programs. These permanent facilities, funded by the government, would treat addicts with the most serious of heroin problems. Understandably, the program is a controversial one. John Strang, a researcher at the National Addiction Centre admits to TIMEmagazine that “it’s a less than perfect treatment,” but when dealing with users who do not respond to one of the standard drugs used in typical replacement therapy programs (like methadone or buprenorphine), a 2007 article published in the British Journal of Psychiatryoffered some insight. A study of 1,015 people who were dependent on heroin revealed that heroin-assisted treatment was successful for people who were severely addicted to the drug and for whom methadone therapy was ineffective. The study found that of the 1,015 people in its sample size, 67.2 percent of the patients who were given heroin continued with treatment, whereas only 40 percent of the patients given methadone stayed. The heroin group also showed a “significantly greater response” in the improvement of their physical and/or mental health and a decrease in their use of illegal drugs. At the National Addiction Centre, John Strang admits that for some chronic heroin users, the purpose of heroin-assisted treatment is simply to “get them from a bad place, to a less bad place.” Being given medically controlled access to heroin constitutes their first incremental steps toward getting away from recreational abuse. For anybody who comes to a heroin-assisted treatment facility, the emphasis is on helping them take their first incremental steps away from recreational abuse. The original experiment took 127 heroin users and divided them into three groups: one group received heroin treatment, and the other two received methadone intravenously and orally. Participants in all three groups received counseling and social services, and thus displayed physical and mental health improvements, but the heroin group made much better progress than the methadone groups. 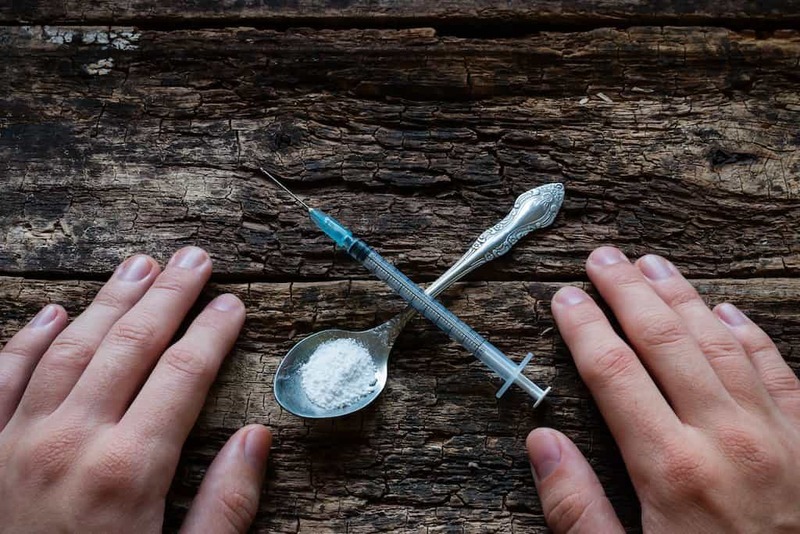 Six months after the experiment started, around 75 percent of the heroin group had stopped consuming heroin recreationally, and researchers were enthused by the significant drop in crime rate by the people in the heroin group. In the 30 days before the program started, the total number of crimes committed by the heroin group members was 1,700; in the first six months of the experiment, the number was 547. One of the study’s participants, Sarah, who started treatment with a 20-year long heroin habit, told TIME that because of daily heroin injections at the clinic, she got housing help, counseling services to improve her depression, and was even given the chance to mentor inmates who were released from jail. One year into the trial, Sarah reduced her injections down from twice a day to once, eventually going off heroin completely and switching to a mixture of morphine and methadone instead. She hopes to gradually improve to the point where she won’t need the medication at all. British doctors have traditionally been allowed to prescribe heroin in cases of severe and chronic heroin use, but it was a collaboration with scientists from Switzerland (where heroin use was spiking nationally) that led to conversations about heroin-assisted treatment facilities across the UK. One of the scientists was Ambros Uchtenhagen, a professor of psychiatry at the University of Zurich. Uchtenhagen had established clinics in Switzerland where heroin users would inject themselves, but only with the supervision of a doctor, and receive mental health counseling. Uchtenhagen told TIME magazine that he “found highly persistent improvement” in patients who subjected themselves to that form of treatment. As of 2009, there were 23 such clinics in Switzerland, treating approximately 2,200 heroin addicts (and people with grave narcotic dependencies), a number that accounts for 6 percent of the country’s overall heroin addict population. On average, each person is a patient of the clinic for three years; most of them arrive with well over a decade’s worth of heroin use. Fewer than 15 percent of patients relapse. Uchtenhagen says that heroin-assisted program is a form of step-by-step treatment to help people recover from their abuse of heroin. As with Portugal’s experiment, the idea of adopting a more lenient form of treatment toward drug users was met with doubt from the Swiss public. But in 2008, 68 percent of Switzerland’s voters backed a referendum to keep heroin-assisted treatment clinics permanently funded by the government. Similarly, the British adoption of heroin-assisted treatment has not been universally welcomed. Mary Brett, the vice president of the nonprofit Europe Against Drugs worries that the “hair of the dog”-style of treatment will result in cocaine being given to cocaine addicts or trying to rehabilitate alcoholics by giving them alcohol. “The goal should always be abstinence,” she said, not perpetuating an addict’s dependence on their drugs. But even more recent research on the topic has led credibility to the idea put forward by the Swiss and British collaboration. A study by the Royal College of Psychiatrists, published in a 2015 issue of the British Journal of Psychiatry on the topic of “heroin on trial,” examined the emergence of “supervised injectable heroin” as a form of treatment since the turn of the century. The study found that such an approach is an “effective way of treating heroin dependence” in users whose problems are such that they cannot (or choose not to) respond to standard methadone treatments. The Royal College admitted that heroin-assisted treatment “may be less safe than [methadone maintenance treatment],” and should have greater clinical and medical attention for reasons of safety; but the intensity of the treatment may be the only course of action for a population of people who were long considered beyond the scope of care. Unorthodox (and dangerous and controversial) as supervised injectable heroin treatment may be, the researchers felt that could “improve the impact of comprehensive healthcare provision” across the United Kingdom. While places like the UK and Portugal are being studied for their progressive and revolutionary approaches to treating addiction, other countries make headlines for the opposite reasons. A senior editor at Reason magazine explains that Muslim countries, or nations governed by secular authoritarian regimes, are the worst places to be caught possessing even the smallest amounts of drugs, even if there was no intention to distribute. Asian countries account for some of the worst places in the world for drug addicts to receive treatment. Malaysia, writes The Fix, mandates the death penalty for drug traffickers; and under Malaysian law, anything from half an ounce of heroin to a few ounces of marijuana makes a suspect a trafficker. People who test positive for drugs are automatically sentenced to a year of compulsory treatment. The Canadian government warns its travelers that Singapore’s drug laws are some of the toughest such laws in the world. Possessing small amounts of drugs can lead to a jail sentence of 10 years and fines worth tens of thousands of dollars. 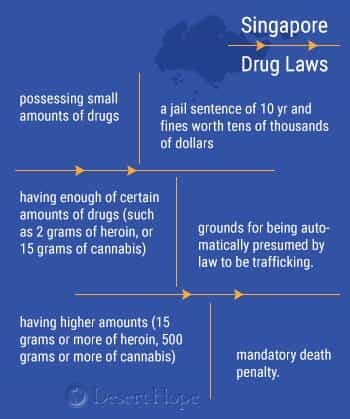 Having enough of certain amounts of drugs (such as 2 grams of heroin, or 15 grams of cannabis) is grounds for being automatically presumed by law to be trafficking. People caught with higher amounts (15 grams or more of heroin, 500 grams or more of cannabis) will be subject to a mandatory death penalty. In Vietnam, drug users are at the mercy of the “Bureau of Social Evils Prevention and Combat,” a department of the Vietnamese government’s Ministry of Labour, Invalids and Social Affairs. A person caught taking illicit substances could be sent to “rehabilitation,” a euphemism for forced labor and near starvation. Unlike Singapore and Malaysia, Vietnam distinguishes between casual drug use and smuggling, but the difference doesn’t offer a great deal of comfort: Casual drug users can be forcibly sent to treatment centers, where the “treatment” consists of severe discipline that borders on torture. 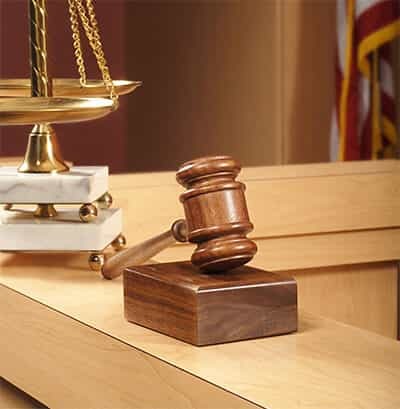 Persons caught with small amounts of heroin or other narcotics can still be sentenced to death. Saudi Arabia’s practice of Wahhabist Islam means that not only are there no bars or liquor stores in the country, visitors are also forbidden from bringing any kind of drugs into the Middle Eastern nation. Anyone caught using drugs by the infamous religious police can be sent to jail, publicly flogged, and deported. Drug traffickers can be executed by hanging. The situation is obviously better in the United States, where the conversation has greatly shifted from the days of the War on Drugs rhetoric. While Dr. João Goulão and Glenn Greenwald were quick to point out that Portugal’s success in fighting its drug problem wouldn’t easily apply to America, they lent their voices to a chorus of criticism of America’s drug war. The Guardian, for example, called the War on Drugs “a systematic failure of policy,” quoting a 2013 study in the British Medical Journalthat specifically noted that trying to control illegal drugs through law enforcement did not work., When it came to issues of treatment, the Brookings Institution noted that the “punishment model” practiced by the United States (where jail terms are used as a form of deterrent) had the primary effect of creating an astronomical spike in incarceration rates, while having a negligible effect on the consumption and trade of drugs. In 1980, 50,000 Americans were sentenced to prison terms; in 2015, that number was 210,000, but only a fraction of them were given any form of treatment to help them quit their drug habits. For comparison, the institution favorably looked at the models of countries like Spain and Italy, where “depenalization” renders drugs illegal, but citizens are allowed to use small amounts without fear of prosecution. Another model is the Netherlands’ “decriminalization” model, where cannabis is sold legally for personal use (albeit with limitations and restrictions). America’s “punishment model” led the American Psychological Association to declare the United States as the “incarceration nation” of the world, pointing out (as Senator Jim Webb did) that while 5 percent of the global population lives in US, 25 percent of the global prison population live in its jails. APA further notes that the legacy of the War on Drugs means that most of those people are from poor, ethnic minority backgrounds, who do not have the means to defend themselves in court and often live in situations of high exposure to drugs and the pressure to use them. A psychology professor at George Mason University condemned the punishment model for causing widespread economic and societal damage across the country, for prohibitively little benefit. One of the factors affecting how the United States looks at drug addiction and its treatment is the staunch refusal to consider substance abuse as anything but a criminal issue, carried out by weak-willed, morally flawed people. Strong religious lobbies and late 19th century puritan values contributed to the passage of the 18th Amendment, colloquially known as Prohibition. Although Prohibition was repealed 13 years after it was ratified by Congress, the effect proved a lasting one. The 18th Amendment, which outlawed the manufacturing, transportation, and sale of alcohol, went into effect in 1919 and was repealed in 1933; but even in 2014, research conducted by the Johns Hopkins Bloomberg School of Public Health revealed that a majority of Americans still believe that people who are addicted to drugs and alcohol should not be covered by insurance, housing, and employment policies that might help their rehabilitation. That idea is held very strongly by some of the enforcers of the War on Drugs, even as they watch in dismay as current and future presidential administrations try to roll back some of the far-reaching effects. William J. Bennett and John P. Walters, respectively the former Directors for the Office of National Drug Control Policy for Presidents George H.W. Bush and George W. Bush, together called for the War on Drugs to return, in an opinion piece they collaborated on for the Boston Globe in 2015. Basing drug enforcement policy on treatment, instead of punishment, does little to deter people from experimenting with drugs and is too lenient a policy to have any lasting impact, they say. Because of the refocusing away from drug use as a criminal problem, “death and addiction [have] spread” across America, with an oversaturation of prescription opioids giving way to widespread heroin abuse in areas not typically associated with drug abuse, such as rural towns and suburban neighborhoods. While not addressing the issues of unfair sentencing and the disproportionate targeting of minorities and disadvantaged demographics that resulted from the War on Drugs, Bennett and Walters praised the 25 years of government policy – from the Nixon administration to the Clinton era – for forcefully tackling the spread and trade of illegal drugs in the United States. But as a sign of how much the conversation in America on how to deal with addiction and treatment has shifted, even some contemporary Republican presidential hopefuls have moved away from the zero-tolerance policy that their predecessors made cornerstones of their campaigns. Jeb Bush, for example, argued that the best way to help people with substance abuse problems was to remove the cultural stigmas of shame and humiliation that previous generations heaped on addicts. Bush presented addiction as an “illness,” one that requires help and care, not punishment and condemnation. On the campaign trail in 2015, Chris Christie related stories of his mother (a lifelong smoker) and a friend who he lost to drug abuse. Christie pointed out that while his mother’s smoking habit was often looked at with compassion and understanding, his friend had to hide his substance problem out of fear of stigmatization. There is a consensus in America, said Christie, that people who fall prey to addiction make a conscious choice to poison themselves or that they deserve whatever misfortune befalls them. Christie’s friend had a “great career and family,” he said, but that didn’t stop the addiction from worsening. The only way to treat such a problem, said Christie, was not to throw a person in jail, but to offer them a way out of their problems. As other Republican nominees shared their stories of family members who overdosed and drank themselves to death, Vox suggested that “one of the unexpected benefits of the 2016 elections” might be to change how Americans think and talk about dealing with addiction and treatment. “U.S. Looks to Other Nations for Addiction Treatment Ideas: Kerlikowske.” (May 2012). Partnership for Drug-Free Kids. Accessed August 23, 2016. “Drugs in Portugal: Did Decriminalization Work?” (April 2009). TIME. Accessed August 24, 2016. “Portugal’s Drug Experiment: Tackling Heroin Addiction By Decriminalizing Drugs And Focusing On Health.” (April 2016). Medical Daily. Accessed August 23, 2016. “The Success of Drug Decriminalization In Portugal.” (March 2009). Salon. Accessed August 24, 2016. 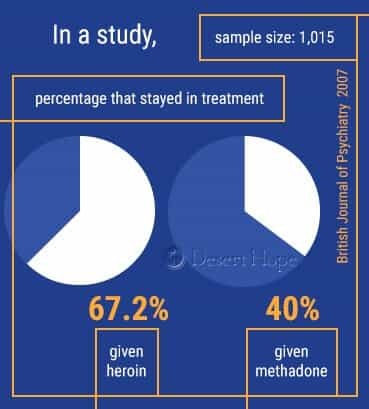 “Why Doctors Are Giving Heroin to Heroin Addicts.” (May 2009). TIME. Accessed August 25, 2016. “Heroin-Assisted Treatment For Opioid Dependence: Randomised Controlled Trial.” (July 2007). British Journal of Psychiatry. Accessed August 25, 2016. “Heroin On Trial: Systematic Review And Meta-Analysis Of Randomised Trials Of Diamorphine-Prescribing As Treatment For Refractory Heroin Addiction.” (July 2015). British Journal of Psychiatry. Accessed August 25, 2016. ““The World’s Scariest Places to be Busted for Drugs.” (April 2011). The Fix. Accessed August 25, 2016. ““Local Laws & Customs in Vietnam: What You Need to Know.” (June 2015). World Nomads. Accessed August 25, 2016. ““Dealing Drugs in Saudi Arabia Is a Very Stressful Business.” (September 2013). Vice. Accessed August 25, 2016. “The Temporal Relationship Between Drug Supply Indicators: An Audit Of International Government Surveillance Systems.” (July 2013). British Medical Journal. Accessed August 25, 2016. ““The ‘War On Drugs’ In Numbers: A Systematic Failure Of Policy.” (April 2016). The Guardian. Accessed August 25, 2016. “Counternarcotics Policy Overview: Global Trends & Strategies.” (October 2008). Brookings Institution. Accessed August 25, 2016. “Incarceration Nation.” (October 2014). American Psychological Association. Accessed August 25, 2016. ““Study: Public Feels More Negative Toward People With Drug Addiction Than Those With Mental Illness.” (October 2014). Johns Hopkins Bloomberg School of Public Health. Accessed August 25, 2016. “Bring Back the War on Drugs.” (September 2015). Boston Globe. Accessed August 25, 2016. “Jeb Bush Drops Guard to Share Family Account of Addiction.” (January 2016). New York Times. Accessed August 26, 2016. “President Offers Strategy For U.S. On Drug Control.” (September 1989). The New York Times. Accessed August 26, 2016. “Chris Christie’s Emotional Speech About Drug Addiction Is Going Viral.” (November 2015). Business Insider. Accessed August 26, 2016. “Why It’s Important Donald Trump And Other Candidates Discuss Addiction In Their Families.” (February 2016). Vox. Accessed August 26, 2016.